…a damning assessment of rail privatisation in this country, it also noted that while rail franchising in Sweden and Germany has led to cost reductions of 20pc to 40pc, train operating costs in Britain are still above the 1996-97 level when private company franchising was introduced. Network Rail is 30pc-50pc less efficient in spending on maintenance and track renewal than its European rivals, according to a regulatory review. Research conducted by industry watchdog, the office of rail regulation, said civil engineering costs in the UK are typically up to double those in Europe. And in a damning assessment of rail privatisation in this country, it also noted that while rail franchising in Sweden and Germany has led to cost reductions of 20pc to 40pc, train operating costs in Britain are still above the 1996-97 level when private company franchising was introduced. Former transport secretary lord Adonis announced an independent review into rail value for money last December. The new secretary of state, Philip Hammond, yesterday said he wanted the review, led by transport expert Sir Roy McNulty, to report back early with its initial findings ahead of the Government's Comprehensive Spending review at the end of the year. A costs review will centre on why Britain's railways are far more expensive than some in Europe, the Government said. 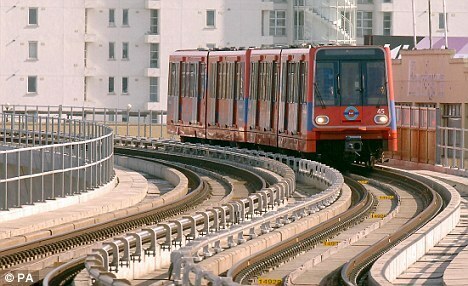 The cost of running the network has risen but income from users has not kept pace, the Department for Transport said. Hammond added: 'Passengers and taxpayers will rightly ask why it is that our railways in the UK are so much more expensive than those in the rest of Europe. Given the very significant financial constraints that we face, it is essential that we drive out inefficiencies and reduce costs. 'Better value for money is the only way we are going to protect train services and avoid very high rises in train fares.' Orr chief Bill emery said there had been significant growth of passenger and freight traffic on the railway in recent years, while performance has improved considerably. 'however, the current cost of running the railway is too high, and the burden on the taxpayer too great,' he added. A Network rail spokesman said in the past five years, the company has cut £6bn from the cost of running the rail network. 'We know we are more expensive but we have taken a lot of cost out and are targeting another £5bn (of cost savings) over the next five years,' he added.